It’s time to feel old! 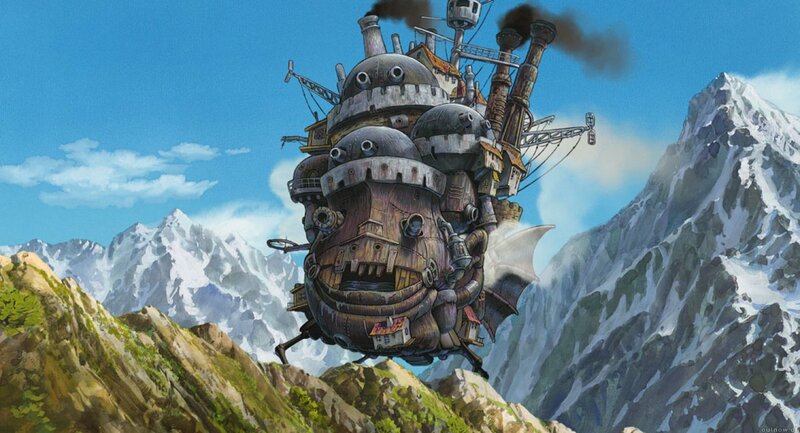 Hayao Miyazaki’s Howl’s Moving Castle was released in North American theaters ten years ago today. I certainly feel old now. I was going to celebrate this milestone with a full on review of Howl’s Moving Castle, but I think I’ll get to that another time. I figured I’d just detail some of my personal experience with the film for now. It’s important to note that Hayao Miyazaki is my favorite filmmaker. I’ve loved My Neighbor Totoro ever since I was a little kid, and have only grown to love it more through the years. It was with Spirited Away though, that I actually found out who Miyazaki was. While Spirited Away and Totoro sit at the peak of my list of Miyazaki films, Spirited Away introduced me to the director’s other work, and I’ve fallen in love with all of them (some more than others of course, but the man never made a movie that wasn’t great). Leading up to Howl’s June 10, 2005 release, I couldn’t have been more excited. It was the first Miyazaki film to be released theatrically since Spirited Away, and I was counting down the days like a kid and Christmas. I remember it was the first movie I saw at the El Capitan Theater in Los Angeles, and it was awesome! I’ve seen a number of movies there since, and have tried to see every major Disney animation, Pixar film and Studio Ghibli production there when possible. The theater gave a nice, classic movie atmosphere, and the crowd was pretty enthusiastic as well, so that always helps. Then there was the organ player playing classic Disney songs, so that made it all that much cooler. The build up itself was so great that I can forgive the poor assortment of trailers that included the likes of Chicken Little and Valiant (it was a CG movie about pigeons or something). Then the movie started, with the big Studio Ghibli logo of Totoro’s mug engulfing the entire theater, and it was glorious. I absolutely loved the movie, from its striking imagination, beautiful animation, fun characters and everything in between, it was a great time. I also think that Disney’s dubs of the Ghibli movies are excellent (particularly the theatrically released ones), and Howl was no exception. Of course, as time has passed I now see Howl’s Moving Castle as one of Miyazaki’s “weakest” films, since Sophie is probably the least interesting Miyazaki heroine by some margin, and the subplot with the whole war thing seems to overtake the main story during the third act. But using the term “weakest” when referring to an unparalleled canon of films like Miyazaki’s is a very relative thing. Despite not being up to par with most of Miyazaki’s other works (I feel it’s on par with Nausicaa, but that’s just me), Howl’s Moving Castle is still a great animated film. But that’s beside the point. Like I said, I’ll review it another day. The fact of the matter is that that initial screening I had of Howl’s Moving Castle remains one of the most fondly remembered moviegoing experiences of my life. I had a great seat, the place had a great atmosphere, the crowd was great, and most importantly, so was the movie. It’s experiences like that why I love movies so much. Miyazaki made two more films after Howl’s Moving Castle and has since retired (though never say never, it’s not the first time Miyazaki has called it a career), and Studio Ghibli itself seems to be on the brink of closure. Whether or not Ghibli has come to an end though, the studio has a peerless legacy in the world of animation. My experience watching Howl’s Moving Castle on that June day ten years ago is but just one of the reasons why they’ve made such an impact on me. Here’s to Howl’s Moving Castle! Keep on making me feel old. 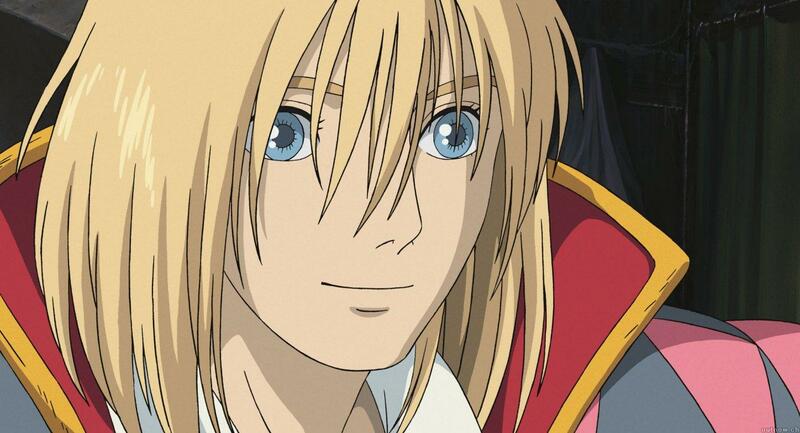 It is great you have such strong memories attatched to Howl’s Moving Castle. But I agree with you, it is one of his weakest movies… I feel the plot is just all over the place; it lacks focus. Indeed. I love Howl’s Moving Castle overall, but it has two great flaws: The first is Sophie. We never really get the chance to know the character before the witch transforms her, and she ends up just kind of being there instead of feeling like the main character. 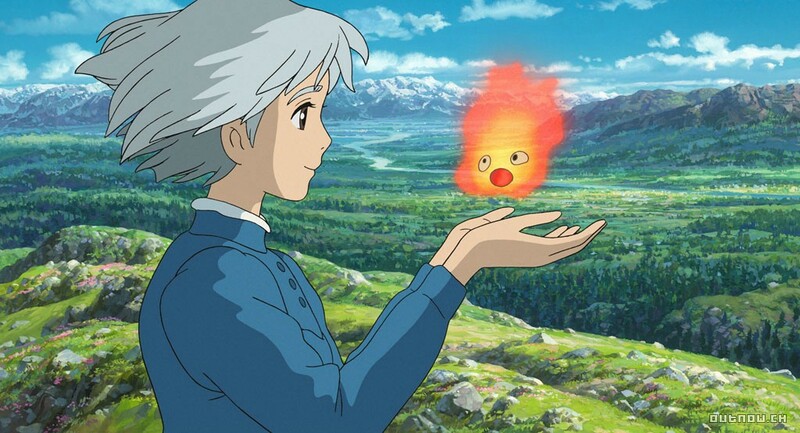 Maybe Miyazaki was trying to keep true to the novel by making Sophie the main character, but he was clearly more interested in Howl and Calcifer’s stories. The other problem is the whole side story with the war. Miyazaki is very open about being anti-war, so it’s understandable he’d make a movie about that. But this shouldn’t have been that movie (in the book, the possibility of a war was only ever briefly mentioned). This storyline completely engulfs the original plot, and it just feels out of place (what does war have to do with the young girl transforming into an old woman?). I will hopefully review Howl in the not-too-distant future. I didn’t want to point out these flaws too much on its tenth anniversary though. Seemed a bit misplaced. Yeah, it would be misplaced, but I fully agree with you. I did not know the war had such a minor role in the book; it makes the whole side-story even more appalling. Yeah, in the book they mention that they’re on the brink of war because of the missing prince, but it basically ends there. Sulliman also isn’t the villain, the Witch of the Waste is! The first half hour or so of the movie is actually very faithful though. That’s interesting. My guess is the book is much better than the movie.